The back of the t-shirt summed things up perfectly. “The drought is over” it read. Each member of the Montesano High School boys basketball team was wearing a shirt with that saying proudly printed on the back. The Bulldogs last made the state boys basketball playoffs during the Reagan Administration, occurring during his first term, way back in 1982. The team would experience plenty of heartache, near misses and disappointment on the basketball court of the next three and a half decades. This year’s squad, powered by a strong senior class, put an end to all of that and when it was finally time to step into the Yakima SunDome for the Class 1A state tournament they wanted everyone in attendance to know exactly what they had accomplished to get to that point. The team, which would finish the season with a 20-6 record, including a 7-1 mark in the 1A Evergreen League, featured seven seniors, including Donovan Albert, Seth Dierkop, Gage Iverson, Curtis Johansson, Trevor Ridgway L.J. Valley and Cameron Wyatt. 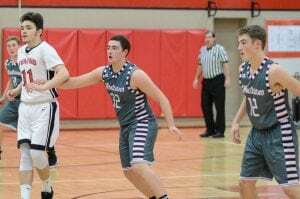 The Bulldogs season came to an end in the first round of the state tournament on February 28 after losing to Northwest, 47-38. Northwest would go on and finish sixth at the tournament, losing in the semifinal to eventual state champion Lynden Christian, 73-69, in double overtime. 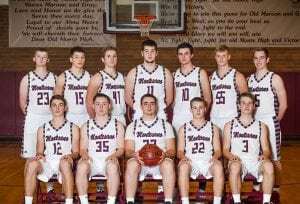 Receiving the unenviable 9:00 a.m. tipoff on the opening day of the tournament, a time which traditional contributes to some cold shooting efforts, Montesano shot just 10 of 51 from the field (19.6 percent) for the game, missing 13 of the 15 3-pointer attempts they put up. Despite the shooting woes, the Bulldogs took a 34-31 lead into the final frame, but were outscored 16-4 in the fourth quarter. 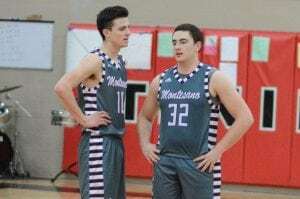 Sophomore Sam Winter scored a team-high 10 points and grabbed 7 rebounds for Montesano in the loss, while Ridgway added 8 points and 6 rebounds and Valley finished with 6 points. It was just the ninth state tournament appearance ever for the program and just the second taking place since 1980. The Bulldogs defeated 1A District 4 champion La Center, 61-48, in the regional round to punch their ticket to the state tournament. Prior to that Montesano needed to win back-to-back loser-out games to secure the district’s third and final regional playoff spot. 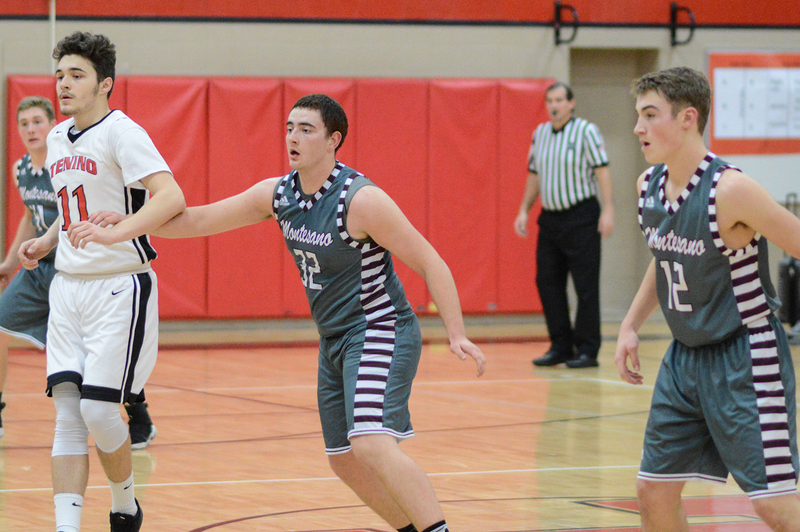 The Bulldogs put the defensive clamps down in both games, defeating Forks, 64-37, before besting Seton Catholic, a team which had defeated Montesano during the regular season, 68-34. As expected the Bulldogs cleaned up on post-season 1A Evergreen League awards with Ridgway being named the league’s most valuable player and Galloway joining Rick Gooding of Forks as the league’s co-coaches of the year. Valley and Winter were both selected to the first team, while Dierkop earned second-team honors and Shaydon Farmer appearing as an honorable mention.